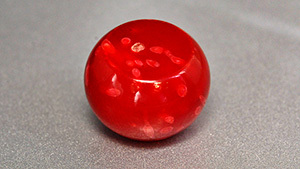 Showing 24 results for "*"
An orangy red plastic bead is revealed to be a composite when white coral fragments are identified by spectroscopy and gemological properties. When General Electric created the first gem-quality synthetic diamonds in 1971, the first place the company sent them after cutting was to GIA for examination and research. In the 44 years since then, GIA researchers have closely followed the development of laboratory-created diamonds – from those early experiments to the production of commercial quantities in the gem market. This article provides an overview of synthetic gem materials. 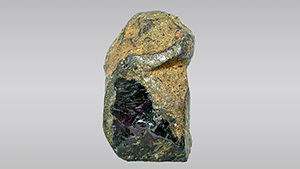 A coated rough rock crystal resembles a purplish red ruby. 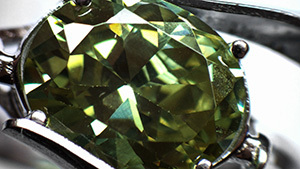 A greenish yellow material set in a ring as a peridot imitation is identified as synthetic cubic zirconia. An investigation of the difference between synthetic opal and opal simulant. The 1990s witnessed important developments in the commercial viability of gem-quality synthetic diamonds. 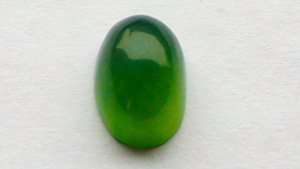 A plastic imitation opal that shows true play-of-color was advertised as "new" and offered for sale under the trade name "Opalite" at the Gem and Lapidary Dealers Association (GLDA) Tucson show in February 1988.